Tire Rack Street Survival – It’s more than driving, it’s about living! The primary emphasis of the Tire Rack Street Survival® is a “hands-on” driving experience in real-world situations! We use your own car to teach you about its handling limits and how you can control them. The students will become more observant of the traffic situation they find themselves in. They will learn to look far enough ahead to anticipate unwise actions of other drivers. As the students master the application of physics to drive their cars, they will make fewer unwise driving actions themselves. They will understand why they should always wear their own seatbelts, and why they should insist that their passengers wear seat belts, too. Requirements: Licensed or permitted drivers, ages 16 to 21 are allowed in the program. Note: High profile vehicles owners (i.e SUV’s, Trucks, Vans etc…) need to review the FAQ section on these vehicles participating in the program. The day is a mixture of classroom and in-car exercises. They spend a total of about two hours in three different classroom sessions. The rest of the time is spent in their car with a coach. When driving, the student is put through a collection of exercises based on real-world scenarios while driving their own car. They work on skid control on a wet skid pad; go through a lane change/accident avoidance maneuvers; perform threshold breaking/ABS exercises, and drive a slalom course to learn about weight transfer. Where possible, we do a two wheels off exercise and a tailgating exercise. In the classroom, they learn about proper seating position and hand positions, mirror placement, the concept of the contact patch of their tires, the theories of weight transfer, the use of long-distance vision, and situational awareness. We talk about the challenges of distractions to the driver, be it the radio, iPods, phones for talking or texting or just the simple cause of too many teens in the car. Where possible we stage a semi truck on site and park cars around it to simulate highway driving. We then have each student and all adults get into the cab and close the door to show how little the driver can see and how many of the cars are not visible to the driver. We also may explode an airbag to reinforce what they learn in class about hand placement on the steering wheel. Students completing their registration after a class if full are automatically placed on the waitlist. This does not cost you anything. We typically have a few cancellations for each school. If there are no openings before the school, we will email you the next time a school opens for registration within 150 miles of your zip code. Please DO NOT call asking if there spots available. Due to the phone call volume, we receive we will not be able to return your call. What are the requirements for "permitted students"? Permitted drivers will be allowed in the Tire Rack Street Survival program IF all of the following conditions can be met. The driver must be a minimum of 15 years old (or the minimum age for the state issuing the permit). We also require that they have driven at least 25 hours before coming to the class. We would like them to have had a permit for a minimum of ½ the time required by the state holding jurisdiction over that permit, (not the state that the school is located in) i.e. if the permit must be held for 6 months before the driver can take their driving test, then the student must have had the permit a minimum of 3 months. Please note that we must carry an event liability insurance policy like any other activity open to the public. The responsibility for the liability insurance for the individual program falls on our host organizations to obtain. If the event is hosted by a Region (Chapter) of the Porsche Club of America, they have a national requirement that all students must have a full driver’s licenses and be 16 years old. The PCA is the only one of 6 host organizations that participate in our program with this requirement. If your student has a permit and not a full driver licenses we are sorry but they cannot participate at a PCA hosted event. You will see the name of the host on the schedule page and another notice on the 1st page of the registration. All TRSS coaches are experienced volunteers having instructed at driver education schools ranging from car control to winter driving to high-performance driving. They are a mix of teachers and enthusiasts that have been exposed to all levels of car control techniques. 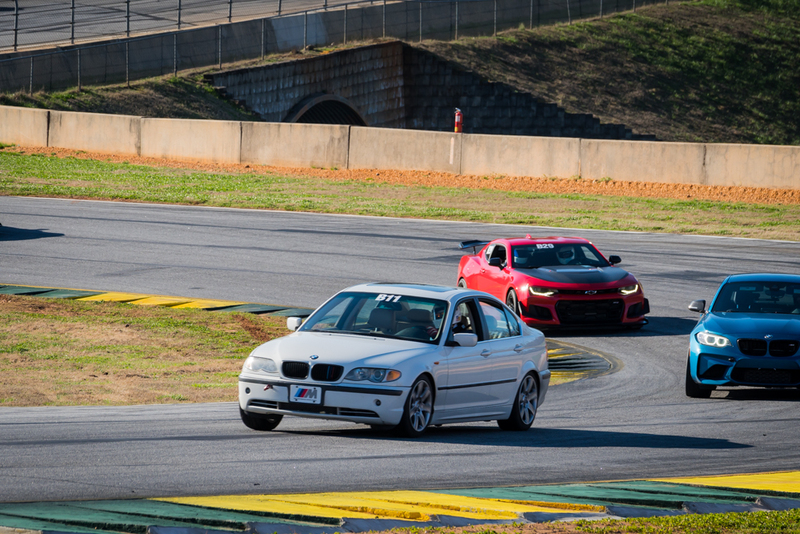 While they continue to enjoy various disciplines of auto racing, rallying, and competitive autocrossing, they also possess a unique ability to communicate all of their experience in a manner that gets through to teens. Whether it’s their commitment to safety or their enthusiasm for driving, it adds up to a truly unique, hands-on day of learning for your young driver. Does Tire Rack Street Survival school provide vehicles? While we cannot require that you come to the class, we strongly suggest that you do. We encourage you to sit in the classroom sessions and listen to those presentations. Even though you have been driving for many years, we feel that there are things that you might learn from experiencing these with your new driver. We also feel that the importance of driving education and seriousness of this issue is reinforced when your new driver sees you taking an active interest in what they are doing. Please look up the HCG vehicle’s safety ratings at www.Edmunds.com. Input the vehicle and year and look at the safety rating in the upper right corner of the web page. This review is for HCG vehicles only. Passenger cars do not need to be reviewed. Any vehicle with a listing of 3 stars or more out of 5 in the ROLL OVER test will be allowed to participate in our class. We are concerned about the Roll Over test on the HCG ONLY. We are not concerned about the crash test ratings. Any HCG vehicle listed as “not tested” in the Roll Over test will not be allowed to participate. Will I receive a discount from auto insurance provider upon completion of a school? Refunds will not be issued for cancellations after Thursday or for no-shows. We have volunteers coming into town expecting to teach at the school and other students may have missed an opportunity to attend the school.